The Chinese government is sponsoring a national campaign on "equal" education. 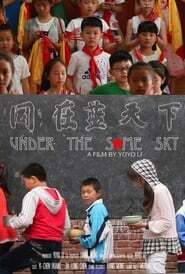 UNDER THE SAME SKY documents school children in the city as well as the country to compare the two educational experiences. UNDER THE SAME SKY had been nominated for best short documentary at the 2017 Asian Pacific Film Festival, 2017 St. Louis International Film Festival, Long beach indie Film Festival and Los Angeles Chinese Film Festival. It's also been shown and won awards at 15 other film festivals around the world, including the Cannes Short Film Corner and The Impact Docs Awards.